When French cartographer Adrien de Pauger laid out the Vieux Carre’s orderly grid in 1721, he envisioned the St. Louis Cathedral as the city’s center. While its Jackson Square location does remain a hub of activity, a modern 21st-century visitor would be hard-pressed to define the Quarter’s center: is it the St. Louis Cathedral, Bourbon Street, bustling Canal Street, or somewhere else? Regardless, we think de Pauger would be proud to see New Orleans thriving over the centuries. Here are a few renowned streets in the French Quarter and what you’ll find there. Art galleries, antique shops, fine dining and fantastic live music—that’s what you’ll see on this charming thoroughfare, which runs parallel to Bourbon Street but feels light years away. Some sections are fenced off to form pedestrian malls (don’t bike through these areas—you will be ticketed). 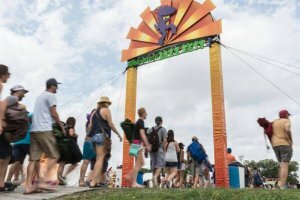 Must-stops include the George Rodrigue Gallery, food at Brennan’s and antiquing at M.S. Rau. 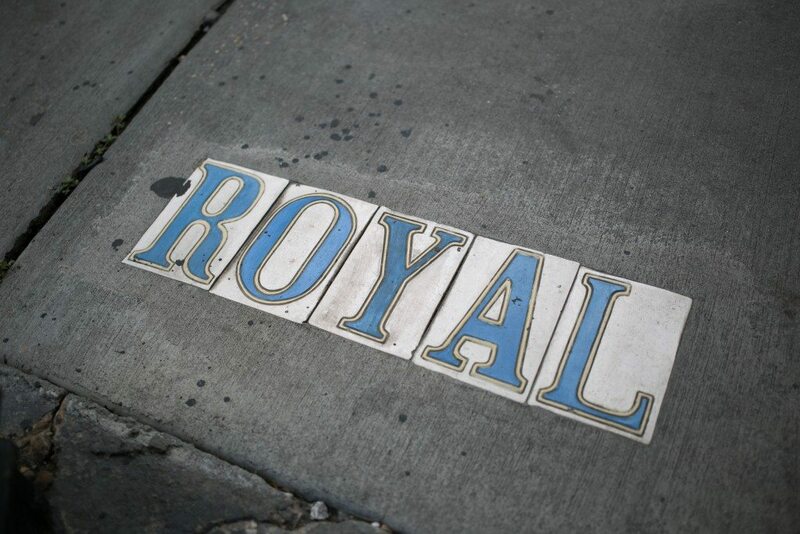 Read our block-by-by guide to Royal Street. No, it’s not named after booze—though you wouldn’t be the first person to assume so. Pauger actually named Bourbon Street for the French ruling family of the time, the House of Bourbon. Today, Bourbon is the site of a 24/7 party that must be seen to be believed. 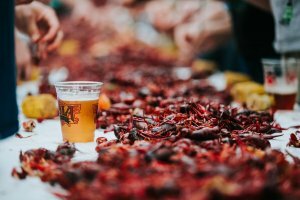 Don’t miss a show at The Jazz Playhouse, a meal at Galatoire’s and a drink at Lafitte’s Blacksmith Shop. 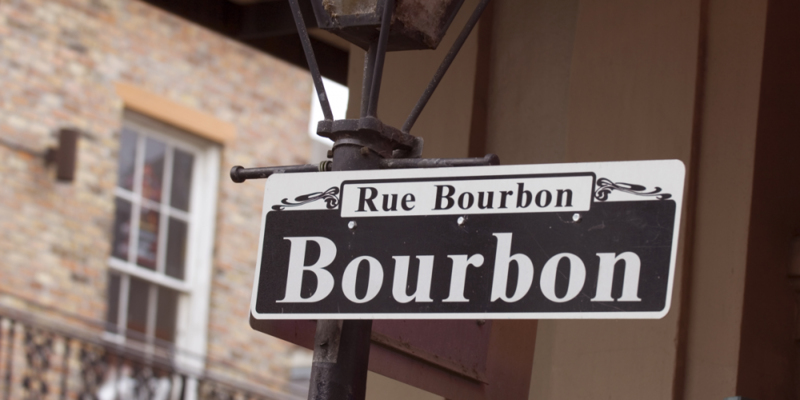 For more, read our block-by-block guide to Bourbon Street. Decatur Street is a little more locals-friendly, a little more down-to-earth, and in its lower (nearer to Esplanade Avenue) blocks, a lot more hipster-oriented than the rest of the Quarter. 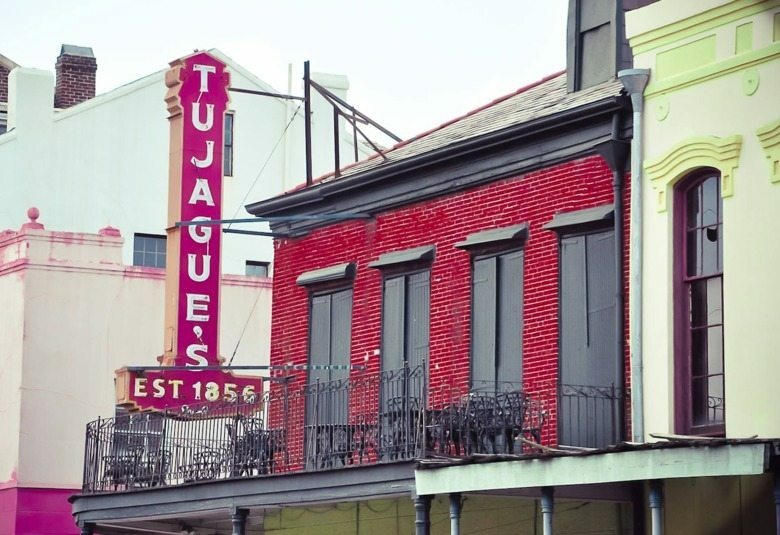 It borders Jackson Square and Café du Monde, but if you continue past the beignet destination, you’ll find Tujague’s, the second oldest restaurant in New Orleans. A little further down, you’ll find Café Envie a delightful, breezy coffee shop with sidewalk seating. Follow Decatur past Esplanade to land smack dab in the middle of the Marigny Triangle, surrounded by the city’s best music venues and bars. Read our block-by-block guide to Decatur Street. This pleasant street is lined with boutiques, restaurants, galleries and souvenir shops, and cuts right through Jackson Square. Visit must -see museums—New Orleans Pharmacy Museum, The Cabildo, The Presbytère. In the mood for shopping? Browse Crescent City Books, Shoe Be Do, Hemline, and UAL. Once you’ve worked up an appetite, enjoy a meal at Muriel’s, Sylvain, Kingfish and loads more. 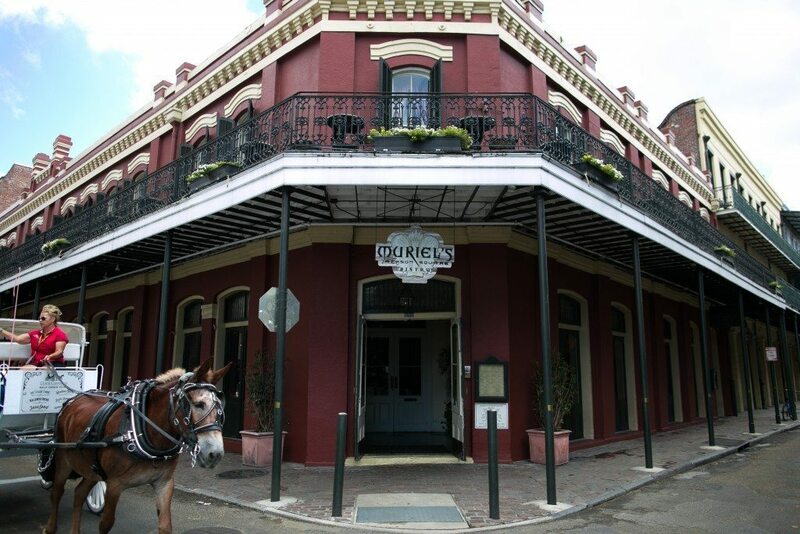 Read our Famous Streets of the French Quarter: Chartres Street. 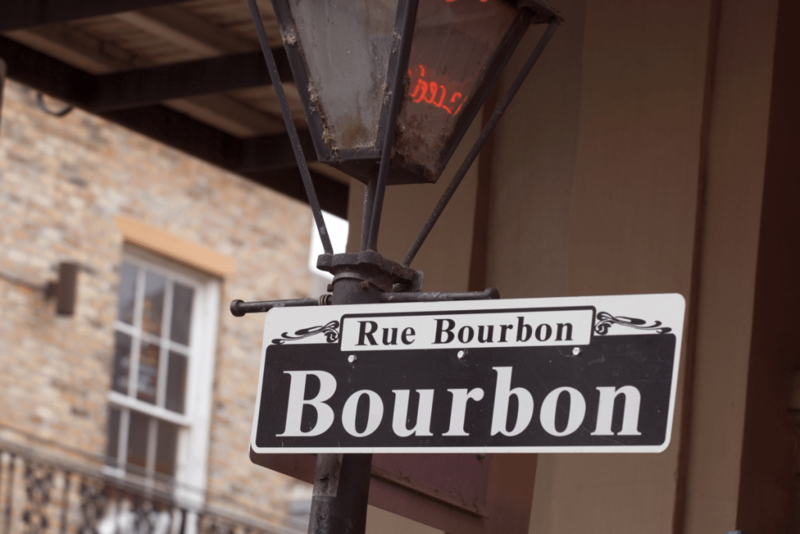 Named for a dauphine, the wife of a French royal heir titled a dauphin, this regal street hosts plenty of great bars and clubs, especially if you follow it a few miles downstream into Bywater. 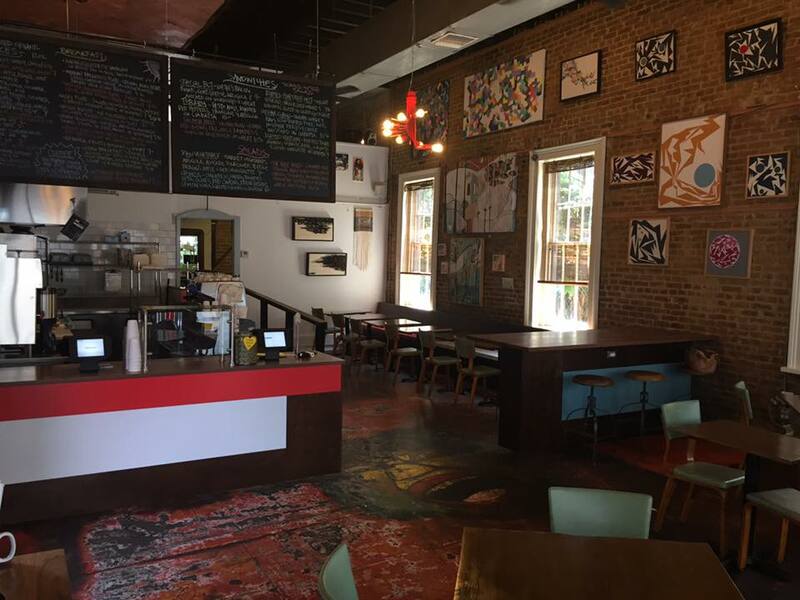 There, you’ll find breakfast destination Satsuma, music hub and dive bar extraordinaire, Vaughan’s Lounge. 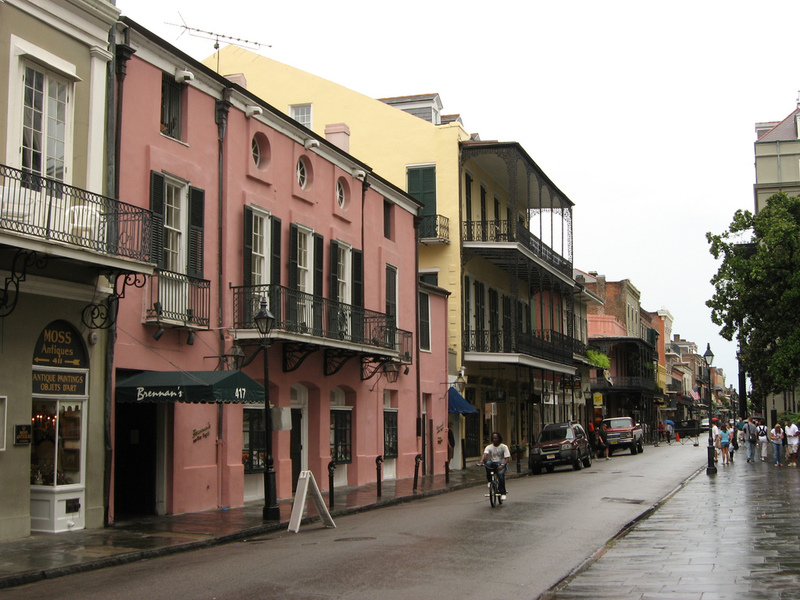 Read our Famous Streets of the French Quarter: Dauphine Street. The western border of the French Quarter, Rampart Street is named for the barricades that guarded the former French colony. Today, it features numerous bars and restaurants (don’t miss the Black Penny and Bar Tonique for cocktails). 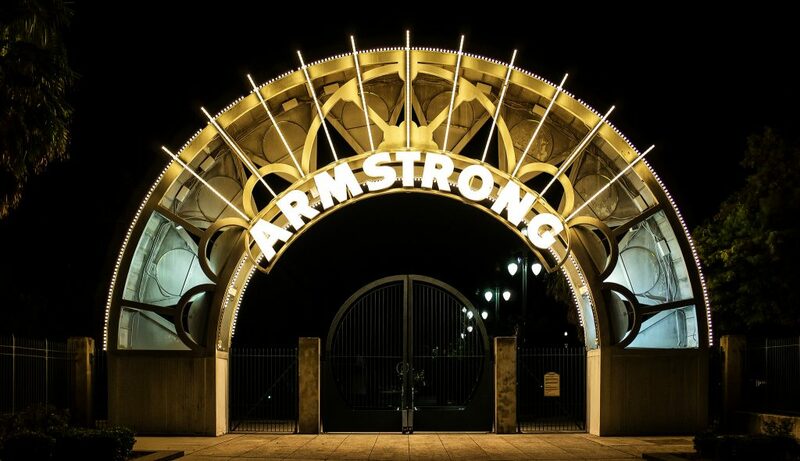 It also hosts an entrance to Armstrong Park, a leafy, fountain-filled tribute to Satchmo himself, which is also the site of the Mahalia Jackson Theater and the former Congo Square. Recently, a streetcar line was re-installed on Rampart Street, which runs all the way from Canal Street to Elysian Fields. Read our Famous Streets of the French Quarter: North Rampart Street. Need a breath of air? Walk along North Peters Street, which borders the Mississippi River and its Moonwalk. At the very edge of the Quarter, near North Peters and Elysian Fields, you’ll find a staircase and elevator leading to Crescent Park. 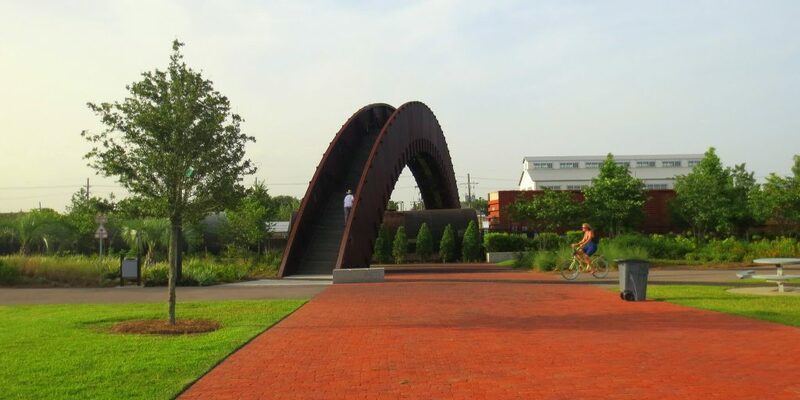 The 1.4-mile linear park boasts running trails, gardens and the best view of the river and downtown skyline you’ll find anywhere.